Originally posted August 15, 2009. I’m pretty sure that everybody has at least one big event that changed their life forever. With me it was at the Loma theatre in late March of 1970 when I saw the movie Woodstock. The concert itself was in the Summer of ’69. Not the Summer of Love but rather the Summer of awakening in an age of Aquarius. So many things were important to us back then (and from then). Peace instead of the war in Viet Nam which included the draft…a.k.a. “war machine”, so a lot of who I am today is because of that fateful day at The Loma, and the amazing triple album that I received on the Christmas that followed. What spoke to me then is what speaks to me now and that is music from the heart. From the beginning of the Movie I was enthralled, and hearing Canned Heat http://www.youtube.com/watch?v=eYKY2lpxMg8 brought me to the front of the stage (so to speak) to see non other than Ritchie Havens. The dude’s thumb covered the entire 6 strings on the fret!!! 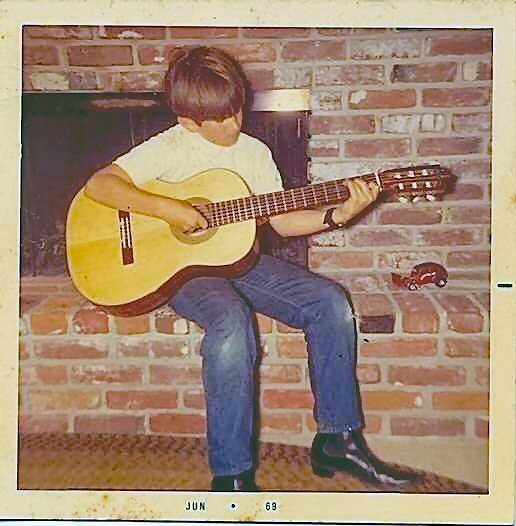 I don’t even want to go back and figure out his tuning because I don’t `want 2 spoil the moment. I heard that the traffic was so packed that the 2nd act, Joan Baez, couldn’t get in so Mr. Havens did 4 encores…and you know? I’d love to hear them all too!!! As often is he case, he running order of the show doesn’t coincide with the running order of the movie and I’m doing this strictly by memory so what stood out to me was some of, but not even close to ALL of the following…. When Joan Baez sang about Joe Hill it still awakened the plight & spirit of working folks everywhere. At one point Woody Guthrie’s son, Arlo sang about trying to bring pot through customs, I’ll bet Woody actually dug that too! Even though it was album was recorded by Eddie Kramer on a mobile 8 track console it sounded huge…maybe it was the half million people that were there, but it was bigger than life! If you saw the movie or bought any of the albums you remember scenes and tunes from some of these bands, but here is the complete running order and all of the songs that were played along with a list of bands that either declined or canceled. When I finally saw Jimi Hendrix at the end of the movie my life changed forever. Watching him play the Star Spangled Banner, Purple Haze and Villanova Junction still to this day gives me goose bumps and all of the inspiration one person can handle. Jimi died a year and a month later, Janis passed soon after that and with their passing so to passed an age that we will never see the likes of again. * though billed as “the Jimi Hendrix Experience”, this was not the usual power trio of Jimi, Mitch & Noel but rather a 6 piece band called the Gypsy, Sons and Rainbows. It included ex-Army buddy Billy Cox on bass for their “first little gig”. Jimi and Billy would end up playing together from here on out, and Jimi until he died. It was only one of 2 shows that Gypsy, Sons and Rainbows played. Update August 2011: Sorry to say that most of the wonderful YouTube links in this article are now dead. RIP. true story: i was picked up hitchhiking about two weeks before woodstock & offered a ride & tickets. i turned it down to go to a demonstration in berkeley. I was twelve in 69 and also was influenced by that era, especially since I had four older brothers, two of which where in the navy during the vietnam war. After his stint in the navy my brother Rich went to Shasta College on the GI bill and became an ardent supporter of the anti war movement. This didn’t always sit well my father who is a retired Master Chief, and was a Corpman and Pharmisist Mate during WWII and the Korean War. He witnessed directly the horrors of war. He has a tatoo on his leg of all the campaigns he was involved with in the South Pacific. On a few occasions political discussions turned into backyard brawls, (usually during the holidays when alcohol was involved. Merry Christmas !) But love triumphed over disagreements and points of view,and we remained a close knit family who loved and respected each other. A little off subject of Woodstock, but just pointing out it was a very tumultuous time and influenced the way I feel about War and Peace. On the subject of Woodstock, a friend of mine who was there finally found himself in a picture in a anniversary edition book on the event. I’ll see if I can get him to share his experience (and picture) on The Rag Blog. 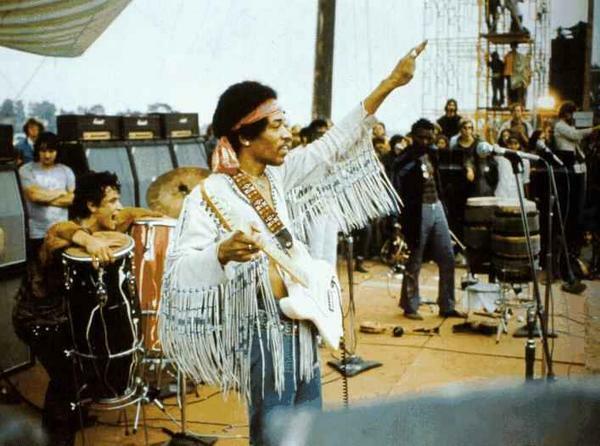 the daily fishwrap let us know today (Sun) with an op-ed “debate” about Woodstock. arguing “against” was Chris “America’s Finest Blog” Reed, a right winger who’s still fighting commies and unions under every bush. (pun intended). that’s like having an op-ed about Christmas and inviting ebineezer scrooge (pre-ghosts) to opine. Or having the CEO of Smithfield write about holiday kosher hams…. Thanks Pat, Anna and Doug, I love hearing the old stories. Doug, I think that as long as there are people that are willing to buy into the negative and fear based propaganda, there will be pundits there to force feed those same fears and negative attitudes. It’s your basic vicious circle. Great job Dave. Keep up the good work. Big Dave, I’ve always been a fan of what REALLY happened up there and that list was a real eye opener since I’ve had one for years that was close but no cigar! Oh, at 13 and in Columbus AFB, Mississippi, I suffered through Camille that brought down a huge willow tree onto our house. Didn’t know the Rain Chant was as a result, also good to know, take care, bro!!!! really cool dave. i was thinking the other day how woodstock represented everything i wish for for my own generation, but how the series of events over the last 40 years has morphed that spirit into something new that we are still trying to put our finger on. you can still see that everyday, but we are working against a much different system – and a much different music scene. that is why real music fans and musicians are getting more and more deeply involved in local scenes..maybe because in this day and age localizing your lifestyle has eased the pain of the recession. Thanks for doing this Dave, I finally got through some of the links – twas great! I actually thought this was going to be easy to write but in the end it was toughest one yet. There’s so much info out there on Woodstock that it became hard figuring out just what to include and what to leave out. 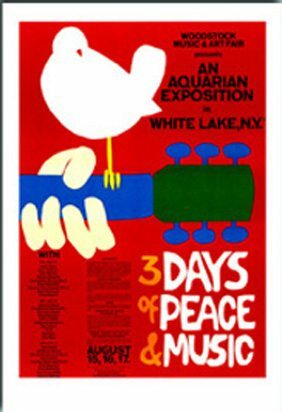 I had forgotten that Woodstock was at the Loma Theater. Thinking that I might not like the movie, you told me that The Sha Na Na and Joan Baez would be in it. Little did you or I know that I would like most of the rest of the musicians, too. Thanks for the links to the You Tube videos. I like that they are all in one place. I have been enjoying them! Thanks for being such a cool & hip Mom!! !